The wife of Martin Luther King Jr., Coretta Scott King was a civil rights leader in her own right, playing a prominent role in the African American struggle for racial equality in the 1960s. Here's a gripping portrait of a smart, remarkable woman. 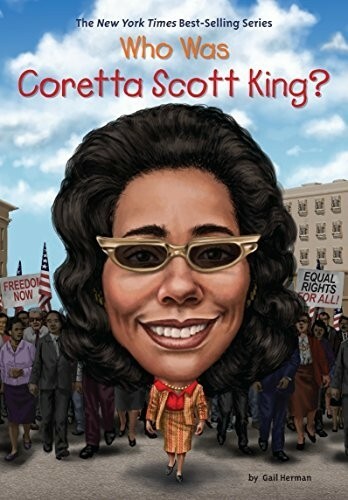 Growing up in Alabama, Coretta Scott King graduated valedictorian from her high school before becoming one of the first African American students at Antioch College in Ohio. It was there that she became politically active, joining the local chapter of the National Association for the Advancement of Colored People (NAACP). 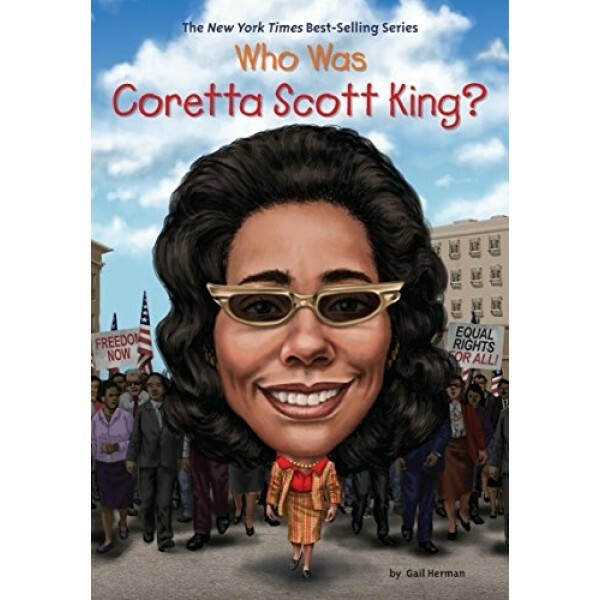 After her marriage to Martin Luther King Jr., Coretta took part in the Civil Rights Movement. Following her husband's assassination in 1968, she assumed leadership of the movement. Later in life she was an advocate for the Women's Rights Movement, LGBT rights, and she worked to end apartheid in South Africa. This accessible biography from the Who Was? biography series is a fascinating introduction to the life and work of a Civil Rights hero.